SVS College of Engineering (SVSCE) is surrounded with greenery and aesthetically designed buildings in its widespread 36-acre campus that stands as a perfect learning emporium. The institution is very well committed to build the overall personality of students. With this intention, the college arranges different platforms for the students to come up with their talents and novel ideas. SVSCE conducts a national level technical symposium named 'Innowar' every year, which attracts potential students across the country to share their knowledge. The college also organizes international conferences every year that brings staff and students of foreign universities to the SVSCE campus. "We encourage our students to participate in workshops, conferences and other events which are organized by other international institutions of higher learning. Such students are allowed to participate with on-duty leave and they are further assisted with financial support," pinpoints Dr. T. Kannan, Principal, SVS College of Engineering. SVSCE offers AICTE approved six undergraduate programs and four postgraduate programs in engineering. "We also provide a wide range of customized, industry specific and market relevant courses with in-house and outside experts," says Dr. Kannan. Training on soft skills, quantitative aptitude, logical reasoning and verbal reasoning are conducted along with regular classes throughout the semester by in-house experts and the experts drawn from training houses. "These classes held during the semester holidays and it enables them to write competitive examinations and move to higher education abroad," adds Dr. Kannan. Periodical lectures by professors of foreign universities are arranged to help the students to mould themselves towards the expectations of the global scenario. "Our students are also facilitated to undergo internships in the industries. During the internships, students gain exposure to the real time environment. They also learn and update the skill sets expected by the industry," claims Dr. Kannan. The students are encouraged to have an on-site visit to the industries of their expertise. "The visits shall be of two to four days. At the end of each visit, students are encouraged to submit a technical report of their observations inside the industries," adds Dr. Kannan. The institution has also established centres of excellence to motivate students in innovative thinking. This knowledge enhancement technique has helped students to take up new projects for the welfare of the community. "We help our students to submit their project proposals to the funding agencies. A good number of final year students' projects have been financially sponsored by TNSCST and Motorola-FAER," pinpoints Dr. Kannan. The college has signed MoU with research organizations and industries in order to promote closer interaction in the areas of technology development, training of students and development of state-of-the-art centers. "Lectures and special talks are periodically organized with eminent personalities and funds are allotted in the annual budget for the purchase of advanced equipment, journals and books related to research," claims Dr. Kannan. Each department conducts annually national conferences, seminars or workshops for effective dissemination of technologies and research findings for the benefit of faculty and industries. Faculty members are actively involved in preparing and submitting research proposals to various funding bodies. Significant numbers of research proposals have been submitted to funding agencies and research clusters have been constituted in all the departments. "Papers published by the faculty and students have been compiled and a copy of the same has been made available in the central library of the institute. 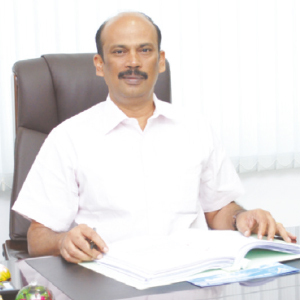 Steps are being taken by the management to file patents," says Dr. Kannan. Thus, the SVSCE campus is involved in a complete teaching learning process through research and further by providing opportunities for students to explore themselves with creative thinking. He is an eminent scholar, teacher, researcher and administrator with more than 25 years of experience in teaching and research in various subjects of Mechanical Engineering particularly in education. He has authored and co-authored more than 170 Technical papers in reputed journals and presented papers at Conferences. He is a life member of Indian Institution of Industrial Engineering, Indian Society for Technical Education, Indian Institute of Welding, and Indian Welding Society.